Cranky on the Web: Great Lakes Calls It Quits. Who’s Next? The Regional Aviation Association is using the death of Great Lakes as an opportunity to fight for the relaxation of pilot requirements. This, however, is a fairly unique failure here. On the small end, you have a lot of airlines flying 9-seaters which don’t have the same stringent pilot requirements. At the high end, you have the big regionals with their fancier jets. If you’re a pilot with the hours required to fly for the big guys, why would you go to a small fry like Great Lakes when you can go to a regional that has a flow-through agreement to a legacy carrier? There aren’t a lot of airlines playing in this space of 19 to 30-seats any more. Great Lakes was definitely doing something different. 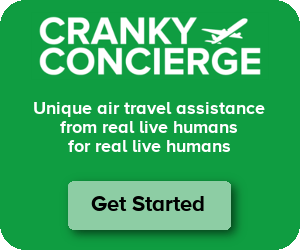 13 Responses to Cranky on the Web: Great Lakes Calls It Quits. Who’s Next? How did this airline last as long as it did? Make for a good book! Its a shame airlines like Great Lakes cant survive in today’s airline industry…..if your not tied to a major, more than likely you wont survive…..I remember when small carriers were so abundant…..most of today’s pilots want to fly the high tech planes of the major’s and make big bucks….the kids you see flying for PSA look barely 20 years old, but to listen to them talk, they want to accumulate hours and move on as quickly as possible…. Unlike the old crusty pilots that have humor and character and know what it took to fly the big planes, they started small and took years to obtain the experience they have, in today’s technology with planes that can fly themselves, young pilots lack the experience of truely beginning a flying career, they may start with the Great Lakes type airlines, because thats all they can get for now but will bail at the first opportunity to move up to the big money stuff, no loyalty or pride in building an airline career…. It shows how one accident made a change, but was it really a good change if it means causing a shortage of pilots. David – The worst part is that the accident wouldn’t have been prevented even with this change. Both pilots on that Colgan airplane had more than 1500 hours. Seems like if we could change the law to be 0-30 seats without ATP we could have a more rational system and serve the rural/small markets safely. The proponents of rule can still say they one with ATP’s 31 seats and larger. Good luck getting Congress to go for that. They caved to the Colgan families, which is why the 1500 hours rule became law in the first place, and there’s still great interest by the families to not “water down” the law (even though, as Cranky stated above, both pilots who died in the Colgan crash had more than 1500 hours). Congress, however, is feeling the wrath of its communities impacted by reduced/cancelled operations or the loss of the EAS designation, so they’re in a pickle. If this law cuts down on EAS flights, that will be one positive. EAS is a pointless money pit that is essentially a pork-barrel program for congressmen to bring some money back to their districts. If Congress can’t just eliminate it directly, this might do the trick. But knowing how government works, they will probably increase the subsidies until airlines can make it profitable. Loyalty has nothing to do with smaller commuters surviving it’s the wages ,supply and demand . One commuter is going to pay more than the other which one do you think they’ll work for. This is not a shortage it is free market. Either way I’ve never seen an airplane that will fly it’s self if that was the case You’d be riding in the back of drones. In the early 60s the airlines hired individuals without any flight experience and sent them to school to get the commercial And instrument ratings, similar to how the military gets their pilots. Keep in mind if you’re Riding in a Aircraft with two seats the passenger has to pay 100% of the cost of the Pilot, a ten place airplane it’s only 10% of the cost. We could go back to subsidized airlines . That would be great if you lived in a town with 1000 people in it. There are still Great small carriers like Kenmore Air in Seattle by the San Juan Islands and the small airline Mr. cranky flow out of Hawaii. Kenmore operates seaplanes. There is also some rideshare operations like Gear up that has small business Aircraft . The cost is not cheap because the utilization is low . Fine with me. It keeps it all tax-deferred. Neither one of these investments is going to fail.